Honor held an event at IFA in Berlin where alongside the global launch of Honor Play, it teased Honor Magic 2. George Zhao, the company CEO, pulled the slider out of the pocket and left everyone surprised and shocked. It was made official two months later and now we finally have it with us. 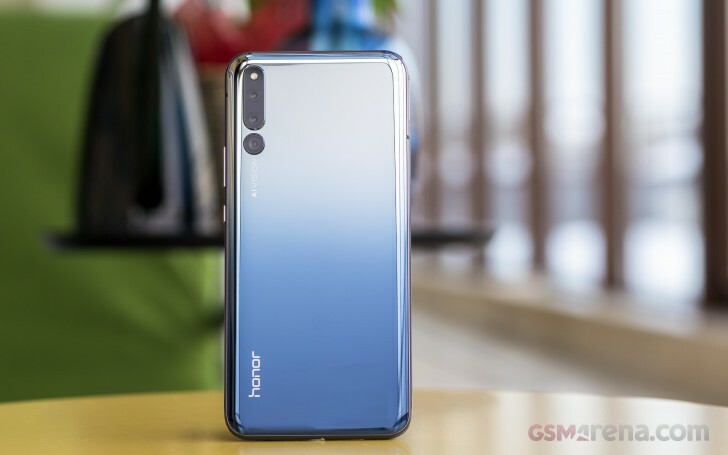 The key selling point of the Honor Magic 2 is the sliding front panel - the front part goes down to uncover three selfie cameras - yes, you read that correctly - 16 MP main shooter and two 2 MP additional snappers for background blur. 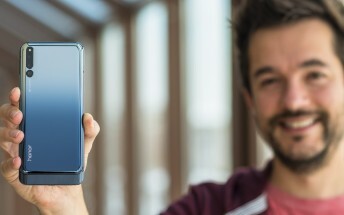 To protect the mechanism from accidental slides, you can’t just swipe your finger - you have to apply a bit of pressure to pull the screen down. Some people that place their pinky finger below the handset might have an issue with the slider. We will use the Magic 2 extensively during our tests while preparing the review, so we’ll let you know how uncomfortable that motion really is. All three color options of the Magic 2 are gradients, and ours is called Gradient Black, despite not having any actual black parts - the panel goes from white to dark blue. The name might be confusing, but your head will be dizzy for a very different reason - how good the back looks. Of course, glass back means plenty of scratches, so Honor provided a neat case in our retail box. 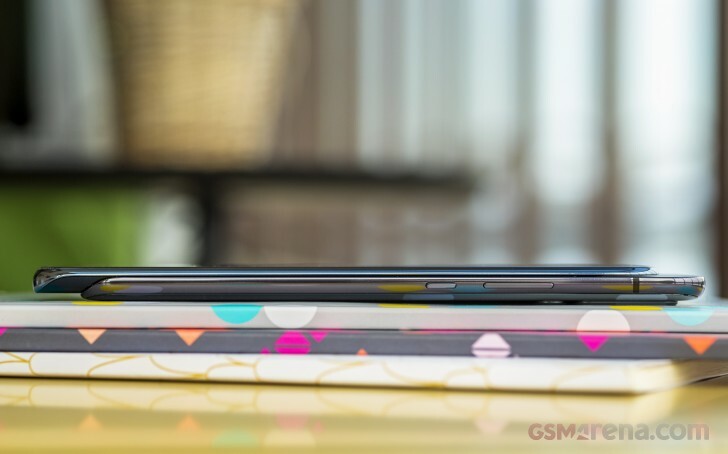 Having a non-metallic back on a flagship device normally means wireless charging, but that's not the case here. You can charge the Magic 2 only with a cable and a plug, but then you do get something in return. 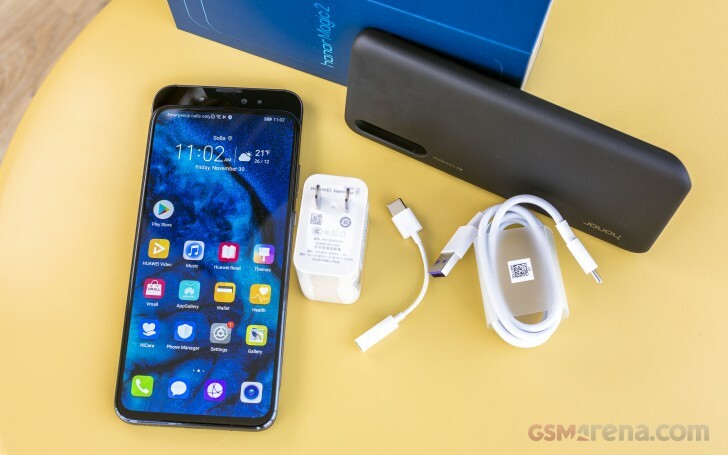 The device comes with the 40W Huawei Super Charger that is also shipped with the Huawei Mate 20 Pro. Another feature, borrowed from the new Huawei flagship, is the under-display fingerprint scanner. It is fast enough and saves you valuable slides if you don’t want to unlock with your face. Then again, why would you even get an Honor Magic 2 in the first place, if you don't want to slide it all the time? Well, the price is one of the reasons. 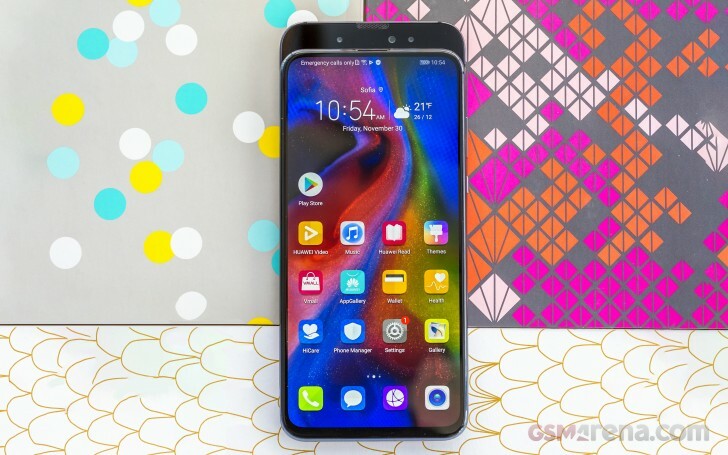 The variant with 8 GB RAM and 256 GB costs CNY4,799, about 10% less than the cheapest Huawei Mate 20 Pro. Sure, you don’t have a wide-angle lens, but the Kirin 980 chipset is still here and you get the unique Magic 2.0 UI.